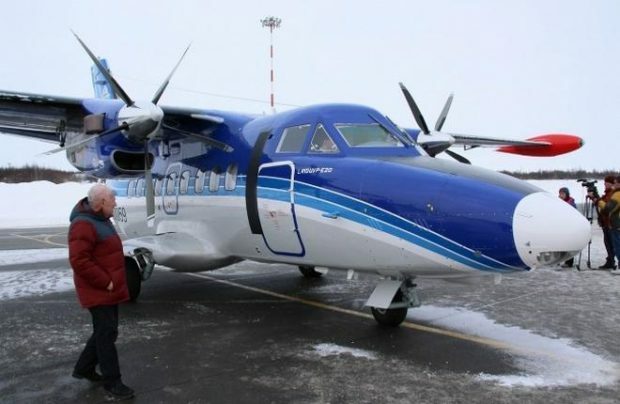 Russian operator Siberian Light Aviation (SiLA) has taken delivery of two Czech-designed LET L-410 twin-engined regional turboprops, the first of the type delivered to a commercial customer by Ural Works of Civil Aviation (UWCA). The Russian manufacturer series-produces these aircraft outside Yekaterinburg in the Urals. One of the two airliners, RA-67059, will be operated from SiLA’s Magadan base. The other L-410, RA-67060, has arrived at the operator’s base in Irkutsk. The carrier expects to break even on the purchase within the first 10 years of operation. Seeing as the regional administration is planning to subsidize local air transport services, SiLA hopes demand for intra-regional travel to pick up. Both aircraft were delivered under an agreement with State Transport Leasing Corporation (GTLK) signed in July 2017 with support from the Magadan regional administration. The airliners are ti replace the carrier’s aging Antonov An-28s. Magadan Region governor Vladimir Pecheny has confirmed that SiLA is planning to purchase another two factory-new L-410s at a discount. The Federal Air Transport Agency reports that, apart from the newly received aircraft, SiLA’s has six An-28s, which makes it the largest operator of the type. The carrier has prior experience operating L-410s jointly with Kamchatka Aviation Enterprise, which has four such airliners in its fleet. Another Russian L-410 operator, Khabarovsk Airlines, has recently had to ground the type after a fatal crash near Nelkan on November 15 last year. Operation of the airliners is expected to resume once the Interstate Aviation Committee’s inquiry board has released its findings. In the meantime, the operator is leasing one of SiLA’s An-28s to fill the capacity gap. UWCA’s L-410 production target for 2018-19 stands at 29 airframes, in line with its firm order backlog. Out of this number, GTLK has ordered 10 aircraft; the purchase is to be financed with federal budget money. Two of these will be leased to Arkhangelsk United Air Squadron, and another one to Khabarovsk Airlines. The latter confirmed for Russian Aviation Insider that its intention to build the L-410 fleet stays on course.